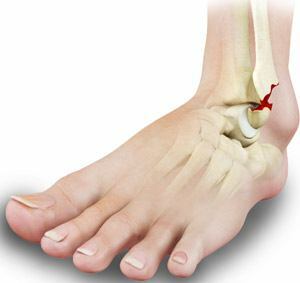 Stress fractures result from a rapid increase in the intensity of exercise or sports activities. They can also be caused by a change in the surface of a sports activity (such as changing from sof t clay court to hard court in tennis), increased physical activity without adequate rest and wearing worn-out or uncomfortable footwear. Athletes participating in certain sports such as basketball, tennis and gymnastics are at a greater risk of developing stress fractures as they experience repeated stress on the foot each time they land on a hard surface. Surgery may be required if the fracture does not heal completely with these methods. Your doctor makes an incision over the fracture area and uses internal fixators such as screws, pins or plates to hold the broken bones together until complete healing occurs.